Cross the highlands to visit the local Galapagos giant tortoise breeding center. Experience walking through the waved albatross and booby colonies on Española, and observe sunbathing marine iguanas. 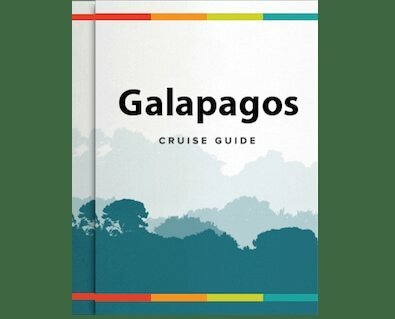 This Galapagos adventure will be one of your best trips yet! Located in the southeastern part of the Galapagos, this island was formed from an uplift instead than a volcanic origin, this is why is mostly flat. There are some theories which assure this could be the oldest island in the Archipelago. Santa Fe is the home of a number of endemic species like the Galapagos Hawk, Galapagos snake, Galapagos mockingbird, rice rats and one of the two species of lands Iguanas of the islands. After disembarkation in the beautiful and clear waters you will be in contact with one of the many sea lion colonies. Along the trail many salt bushes can be seen as well giant Prickly pear cactus, gigantism is a characteristic of oceanic islands. There are great possibilities of snorkeling with playful sea lions and tropical fishes. Tortuga Bay is a beautiful white sand beach, so named because it is a nesting site for the black turtle, the visibility in the water is excellent for snorkeling, be on the lookout of the Galapagos sea lions, marine iguanas or (seasonally) mating Pacific green turtles in the surf! This is a wonderful site to for swimming and snorkeling. Transfer to Baltra Airport (GPS) for your flight back to Guayaquil or Quito.